What’s the scoop: With Nora being a petulant brat and pouting over at Papa Joe’s, Iris is down in the dumps about her performance as a mother. She’d later admit to Barry that the bleak picture Nora has painted of her mothering style has her concerned she’s going to turn out to be as bad or worse of a parent as her mother, who you remember was a hopeless addict most of her life. Barry is supportive in the way Barry is, telling Iris that she can’t worry about what future Iris or alternative timeline Iris would or would not do. She has to be the best version of herself in the here and now. 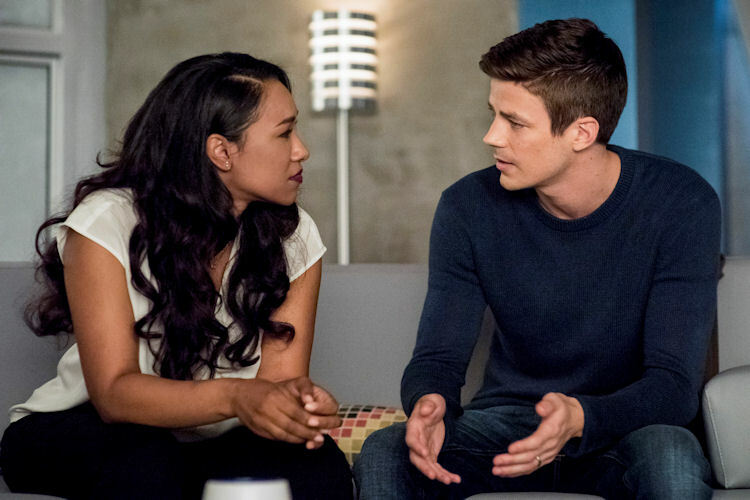 Barry also helps by turning the investigation into a series of date nights for the couple. Meanwhile in B-plot Land: There is serious headway made in the investigation of Caitlin’s father. Ralph, Wells, Cisco and Caitlin follow a series of clues that lead to the possibility that Caitlin’s dad is alive, and in an off-the-grid disease test site run by her mother’s company. The character arc through this is Cisco’s; he is feeling worthless after getting sidelined. Cisco uses his powers the best as he can, but the shrapnel from Cicada’s dagger wounds makes vibing painful. He and Caitlin have a heart to heart, and she reminds him he was pretty special before Vibe came along, which inspires Cisco to hijack some of DeVoe’s other enlightening satellites — giving them eyes and ears on the world again. 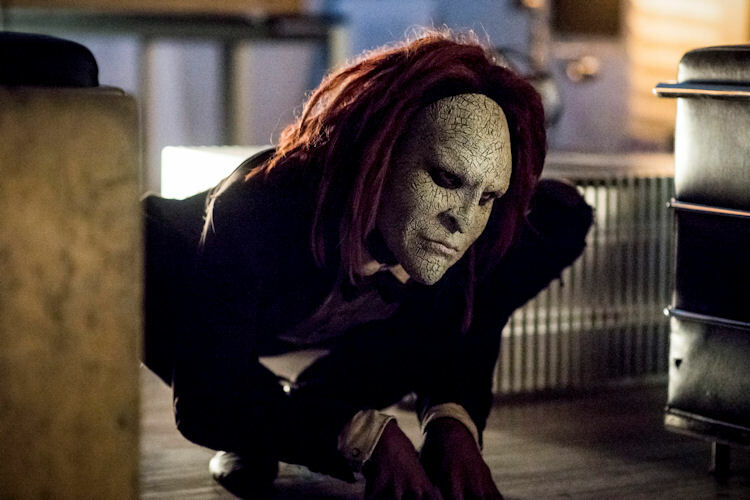 What about the action: The Flash mined the ranks of reality competition shows to find the contortionist who played the villain Rag Doll, and it’s an inspired bit of casting. He was a spooky combo of The Ring girl and It‘s Pennywise the Clown. While there was significant CGI trickery to make the stretchy effects, there was also a healthy dose of practical effects that were all in the way the actor, Troy James can bend and contort his body (he nearly made the judges’ panel crap themselves on an America’s Got Talent episode). It all climaxes when Rag Doll, who is the wayward son of a billionaire crushed by a chunk of the Enlightening satellite, kidnaps Barry and perches him on the side of a building in meta-blocking handcuffs. When Iris and Ralph hilariously web-swing their way to the scene, Rag Doll tips Barry over the side of the skyscraper and Iris dives after him, unlocking the handcuffs in time to keep them from going splat. What’s next: We get to the bottom of Caitlin’s dad’s disappearance. Last impressions: Iris has had a rough go of it this season, so it was nice to see her get a win. 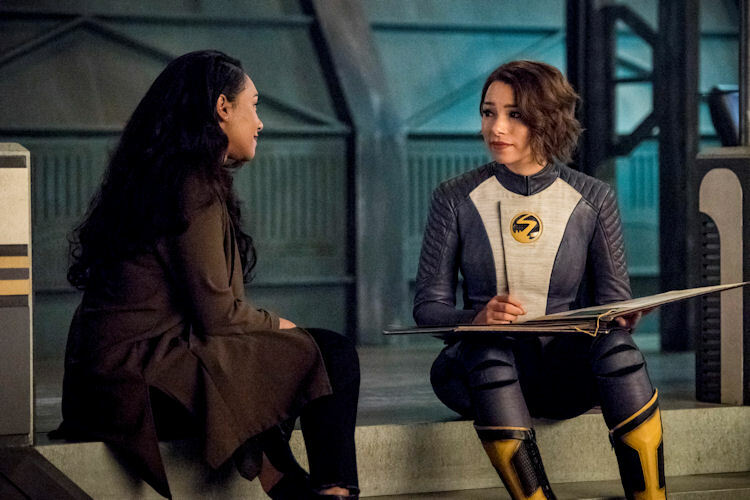 A big assist goes to Cecile who spent the day telling Nora stories about her father’s heroic exploits, which were actually about Iris. Nora seeing Iris unflinchingly brave the peril to save Barry is the icing on the cake and Nora comes around that Iris might not be such a nagging square after all. The real hero this week was Rag Doll. It’s a shame this episode didn’t run before Halloween, and we can only hope he escapes from prison again, so he can once more creep everyone out.